Description: Hot Magazine Blogger Templates is the minimalist Blogger magazine Theme, crafted with care and attention to detail. It includes a minimalist design, coupled with beautiful visual effects. It has lots of different effects and layout modes which let you create the website easily. 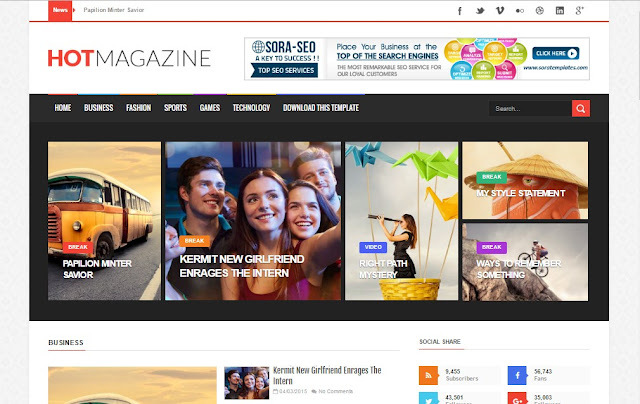 Hot Magazine is an excellent value Blogger themes for Magazine, Newspaper and Blog websites.